This research helps shed light on the largely overlooked practices amongst steal-to-order offenders, with a view to identifying ways in which steal-to-order offences may be disrupted through targeted intervention. Interviews were conducted with a sample of incarcerated burglars who have previously engaged in steal-to-order offences. In addition to highlighting a number of parallels between steal-to-order and non-steal-to-order offences, this paper illustrates the nature of professionalism exhibited by offenders during steal-to-order offences. 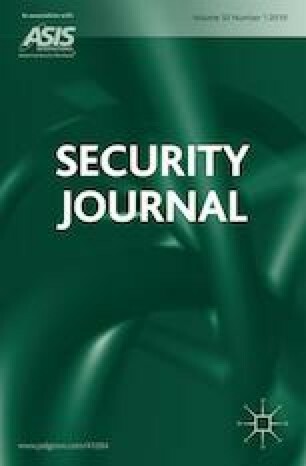 Moreover, this paper reveals a behavioural continuum amongst offenders engaging in steal-to-order offences: those who steal-to-offer, those who steal-to-order more general items, and those who steal-to-order more specialist goods. The paper also highlights the potential lack of flexibility experienced by steal-to-order offenders, and the implications of this in challenging criminological theory of offender decision making. The paper concludes by discussing how steps at both a residential and organisational level may be taken to effectively disrupt the practices of offenders during steal-to-order offences. This research was supported through an ‘Innovations in Quantitative Methods’ Scholarship from the University of Leeds. The authors are grateful to Professor David Best, Dr James Banks, and two anonymous reviewers for their helpful and constructive comments on an earlier draft of this paper. Thanks are also extended to HM Prison Service for enabling access to the offenders in this study, and, in particular, to the staff and prisoners who gave their valuable time in order to support this work. AskMID.com. 2018. Welcome to the askMID website. Motor Insurance Database, http://www.askmid.com/. Accessed July 2018. Police.uk. 2018. Automatic Number Plate Recognition. Police.uk website, https://www.police.uk/information-and-advice/automatic-number-plate-recognition/. Accessed July 2018. Sentencing Council. 2011. A short guide - Sentencing for offences taken into consideration (TICs), https://www.sentencingcouncil.org.uk/wp-content/uploads/public_guide_tics_for_web.pdf, Accessed August 2018. Sutton, M. 2008. How Prolific Thieves Sell Stolen Goods: Describing, Understanding, and Tackling the Local Markets in Mansfield and Nottingham: A Market Reduction Approach Study. Internet Journal of Criminology, https://docs.wixstatic.com/ugd/b93dd4_8d5e20eeba8249d6831917733362afcc.pdf. Accessed July 2018. The Yorkshire Post. 2009. Gang jailed for £600,000 car raids on homes. 28 March 2009, https://www.yorkshirepost.co.uk/news/gang-jailed-for-163-600-000-car-raids-on-homes-1-2340404, Accessed January 2019. Theft Act. 1968. Elizabeth II. Chapter 60, https://www.legislation.gov.uk/ukpga/1968/60. Accessed July 2018.